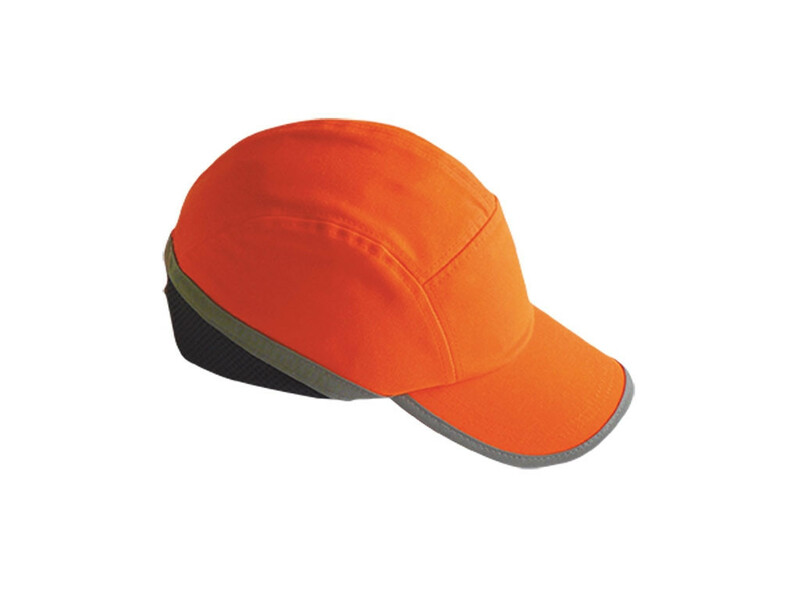 Baseball style bump cap with long peak (7cm) in Hi-Visibility colour for daylight visibility. Protects hair from paint splatter and dirt. Mesh panel on the back which, together with the ventilation holes on the internal shell, help cooling comfort. Inner ABS shell and soft pad for shock absorption and durable high density EVA protects and gives comfort to the wearer. Hook and loop adjustable size. Adjustable Size 54 - 59cms. EN 812. CE Certified.